So you have finally decided to paint that room… Excellent! Here is what you might need to save you some trouble, especially if you’re a bit of a newb at it! You need something that is quick drying, easy to apply and easy to sand. 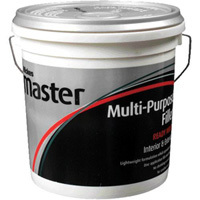 And there is a filler that does exactly that – Master Multi-Purpose Filler – a lightweight formulation filler, usually available from Wickes. This filler looks and feels like snow and is very light and fine. You can spread it so thin you don’t even need to sand it in some cases. But to fill raw plug holes for example it is better to apply a bit more filler and then sand it. Perfect for filling all sorts imperfections in walls. For best results you might also consider getting a set of metal flexible spreaders to make the job easier as well as a sanding block with a handle. Spreaders you can get from some place like Johnstone’s and the Hand Sander from Wickes. You would also need a sealant to fill small gaps, like gaps between skirting and walls or coving and ceiling/walls, architraves joints, etc. It is mildly flexible and you can paint it. It doesn’t crack when dried if applied in moderation. 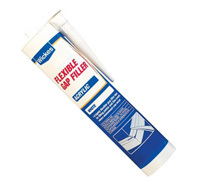 Available from Wickes where it is called Flexible Gap Filler (Acrylic). You might also need a more flexible sealant when there might be some movement. For example wood and stone. Wood would naturally shrink and expand much more than stone causing movement in the joint. You could fill plaster cracks with it too, but if your walls are bad you may want to line them with lining paper leaving 1 mm gap, which you then fill and sand prior to painting. 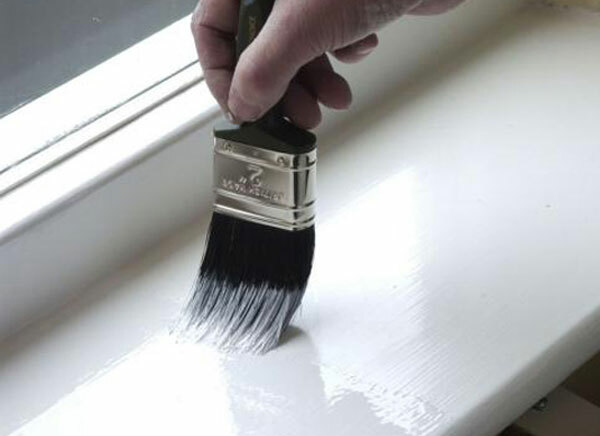 The best use for this extra flexible sealant however is to seal gaps around window frames. It is as flexible as silicone sealant but unlike silicone sealant it could be painted. 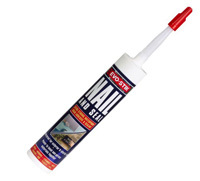 This sealant is by Evo-Stik and is called Nail And Seal, available from B&Q. 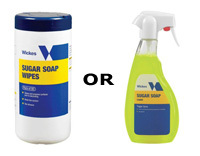 Another essential tool for the job is a tub of Sugar Soap Wipes (or other decorator’s wipes) or just a Sugar Soap liquid. Used for cleaning surfaces prior to painting, it has an impressive dirt removing power. You can even clean oil grease drops left by frying! You will definitely need this if you use Nail And Seal as it is notoriously sticky. Do not use the cheapest paint you can find. Some cheap paints are atrocious and will only add to the time and expense. Also I would suggest to use paints that are mixed to numbers. 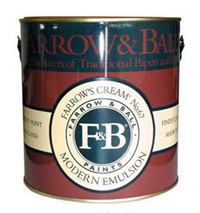 For example Farrow & Ball paints have names and numbers, so if you buy the exact paint years later, it will be exactly the same. Although those paints are not cheap, you could save some money in the long run as usually you do not need to repaint the whole room but just touch places where it got damaged, dirty or worn. You will need much less of the same paint to do that and can do it much quicker than to repaint the whole room. Farrow & Ball paints could be found at Homebase. Few more tips about paint. Avoid using oil paints. They stink, take too long to dry and white will get yellowish with time. Acrylic paints went a long way and are quick drying and durable. You might want to try Acrylic Durable Matt from Johnstone’s for all your wood needs. Also use matt emulsion for ceilings, only because matt will not reflect light off any imperfections and will look sparkling clean. For brushes you may want to consider synthetic brushes. 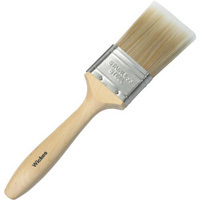 Not cheap but not very expensive either, these brushes can provide a nice finish. And for the final tip… Always give fillers, sealants and paints plenty of time to dry, so plan your next job accordingly.